Item # 311027 Stash Points: 14,300 (?) This is the number of points you get in The Zumiez Stash for purchasing this item. Stash points are redeemable for exclusive rewards only available to Zumiez Stash members. To redeem your points check out the rewards catalog on thestash.zumiez.com. 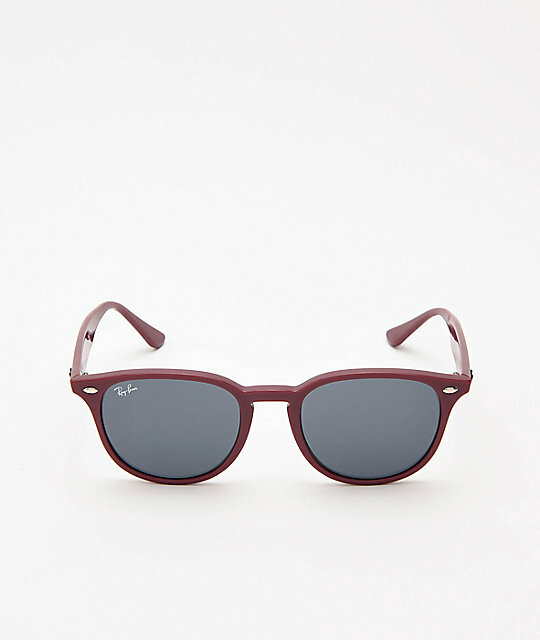 Give your summer looks an accent of sleek and clean style with the Ray-Ban ORB4259 Bordeaux & Dark Grey Sunglasses. A maroon plastic frame highlights round, dark grey lenses for clean contrast and a subtly colorful look. Finished off with 100% UV protectant lenses, these glasses are functional as well as fashion-forward. 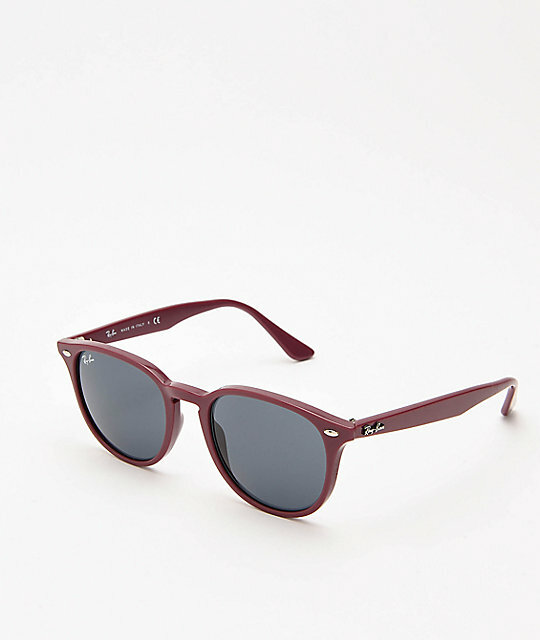 ORB4259 Bordeaux & Dark Grey Sunglasses from Ray-Ban. Slightly larger round impact resistant lenses.